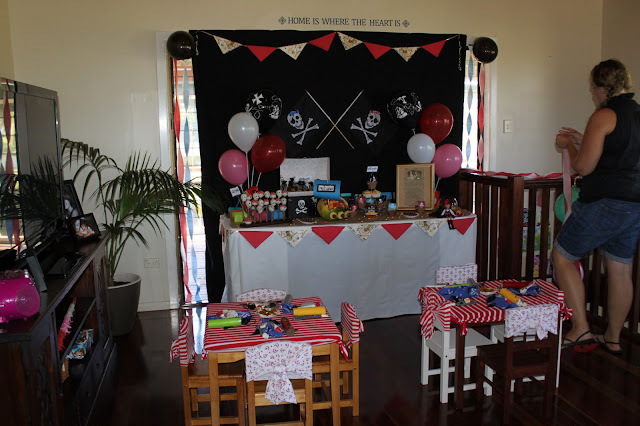 I made each of the kids a pirate bandanna in skull and cross bone fabric. Emmy and Lilah painted paper towel rolls different colors then decorated them with jewels. 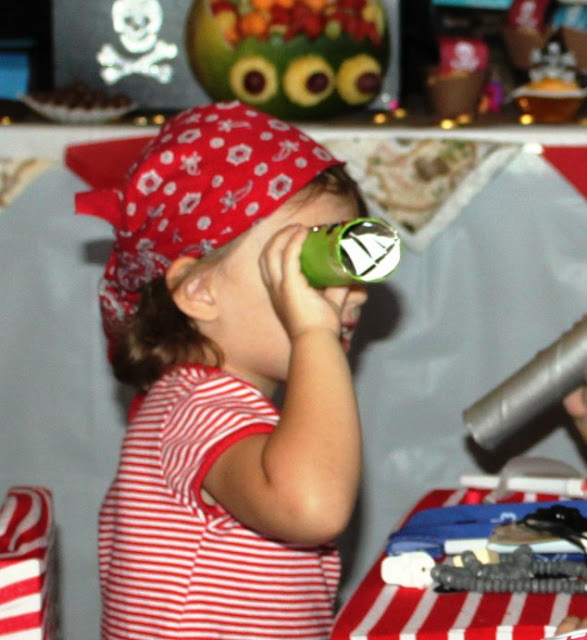 I used the silhouette machine to cut out tiny ships that I taped to the ends so when the kids when out on the deck and looked out to the ocean they could see with ship sailing on the water. Most of the ideas I used for the party are not my own, but that one ways hehe! 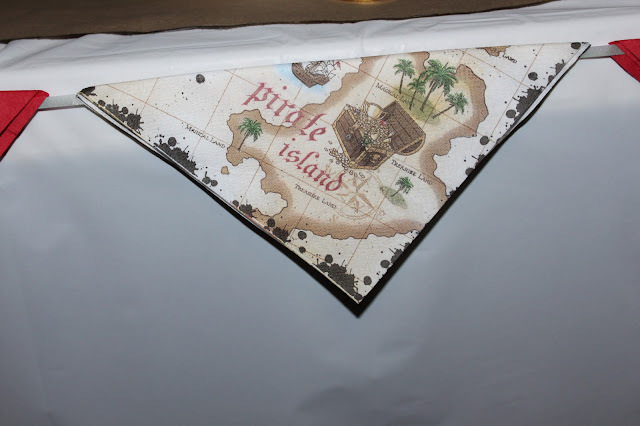 I covered the tables in stretchy pirate material I had laying around in my sewing room and each table had a huge shell filled with chocolate gold coins! 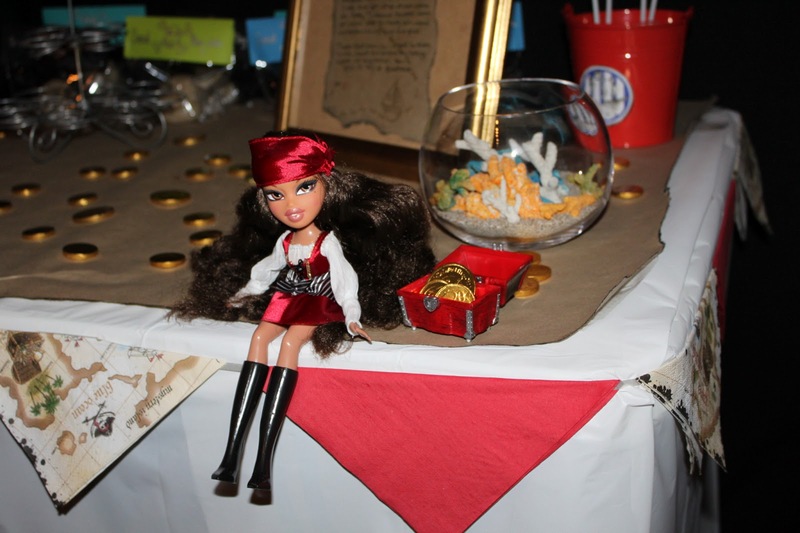 They also got an eye patch, pirate jewelry and other booty. 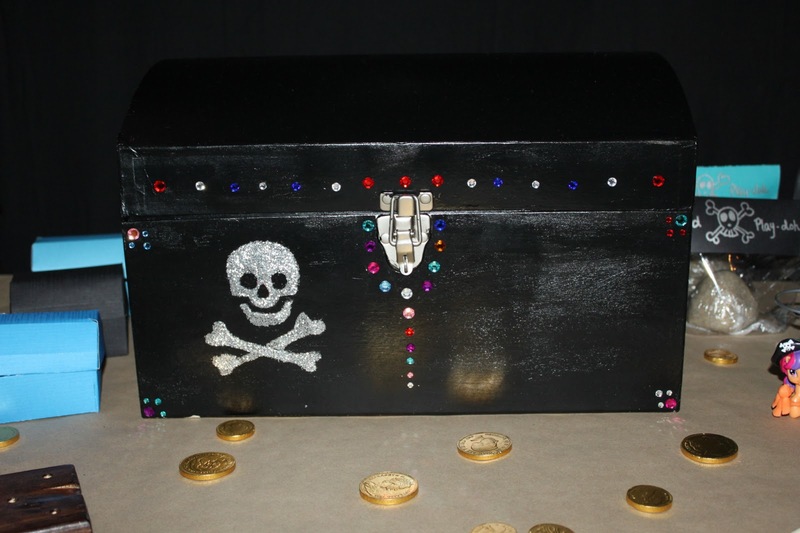 I used the silhouette machine for cut out the pirate chests then hand shaped and glued them together. 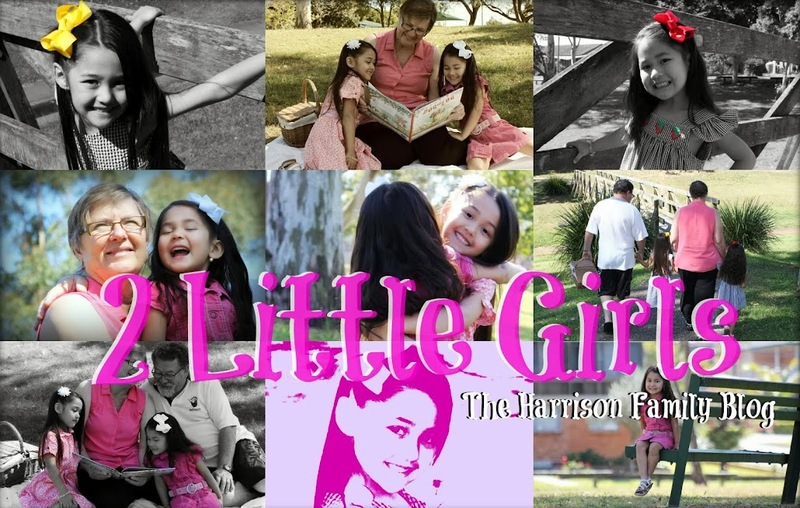 I knew it was going to be a big job, but it was an even bigger and time consuming job than expected. If you can find these to buy I recommend that you do! 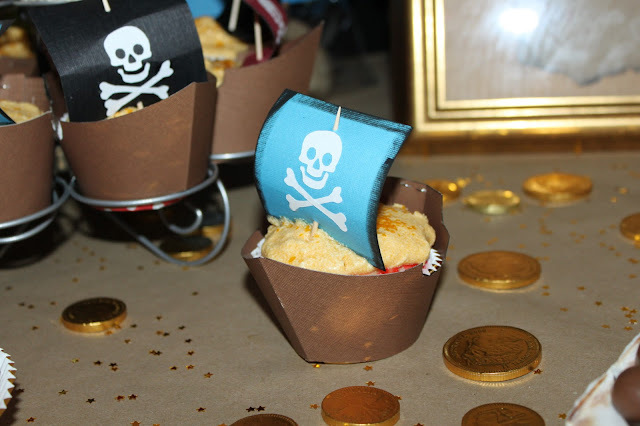 These were used for the kids to fill up goodies out of the big pirates chest! 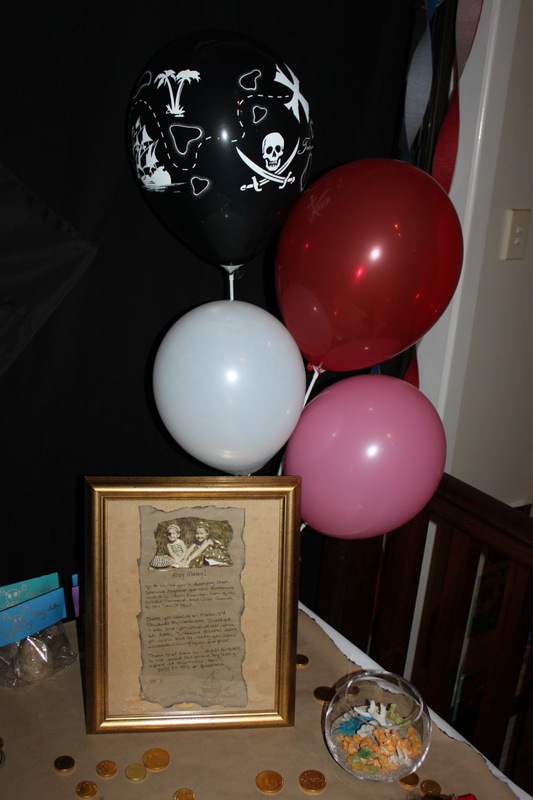 I framed their party invitation and sat it on the table for an added touch. It was made on brown paper, hand ripped, inked, stamped, burned and written. Yes time consuming but they came out perfect! Not sure how well you can read this..... somewhere I might have a better picture of this that I'll have to find! I couldn't resist sitting out the Pirate Bratz Doll that had her own mini treasure chest! 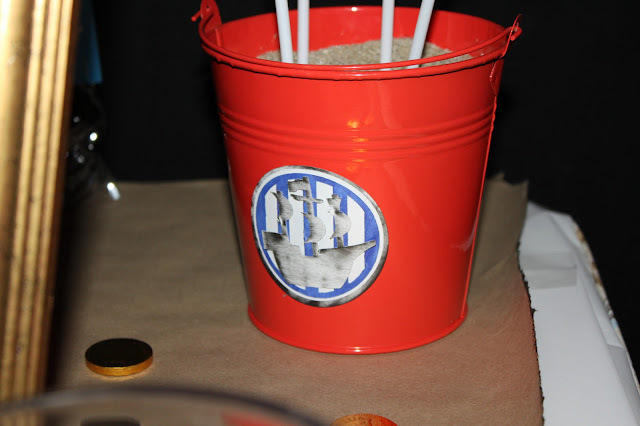 Hand made layered logo's added to red metal dollar store buckets filled with sand to use as balloon holders! I have done this recipe before in South Australia and it turned out great, but had not factored in the humidity of Northern Queensland and it didn't work as well so be warned if you try this in a tropical location. The idea is to use your sand playdough to make a castle and let it dry and then you let it dry and you can keep it for as long as it holds together. In a dry climate ours are still holding together 4 years later, but the ones we made in the tropics never dried out properly and turned into runny goo. Yuck!! 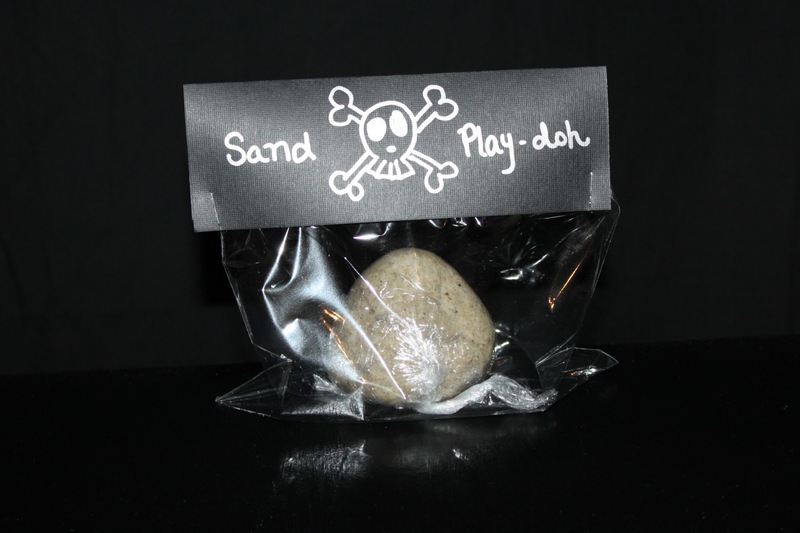 All I did to make it was use a standard at home Play-doh recipe then mix in upwards of 6-7 cups of beach sand....easy! 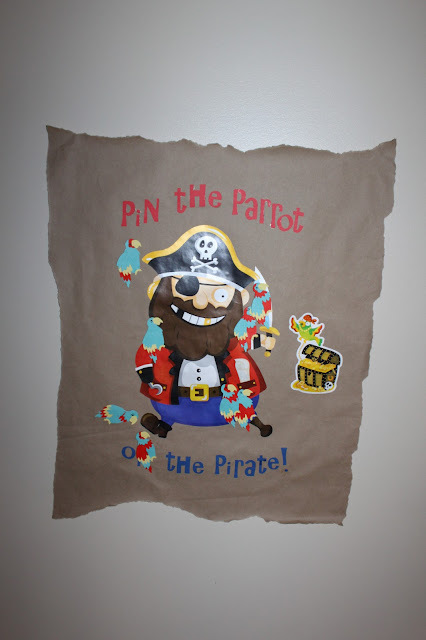 I made a super simple bunting by using curling ribbon, craft glue, and pirate printed napkins! Easy Peasy!! Here's my poor Pirate and Skull Cake Pops lol Some turned out better than others, but they all tasted soooo good! 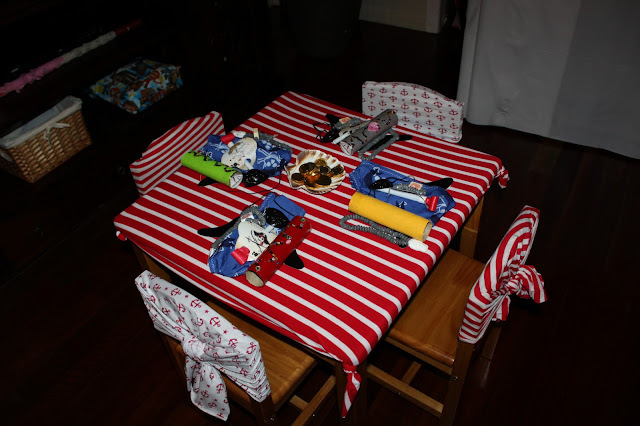 I loved this idea! I used Watermelon Art to make a Pirate Ship and filled it with hand balled fruit salad. 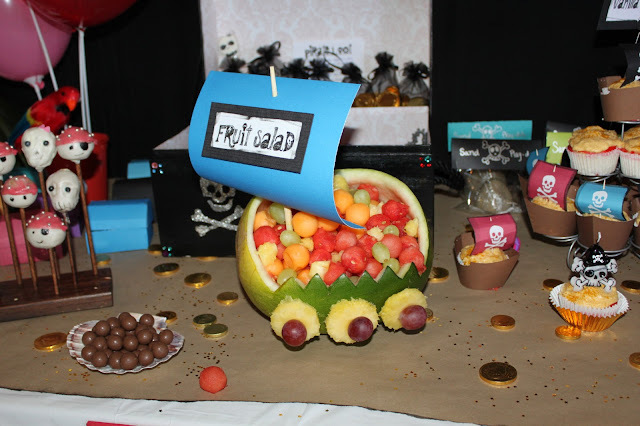 There was so much junk food to eat that it was nice to have the kids get something healthy in their bellies! Here's the Party area nearly completed before guest arrived! 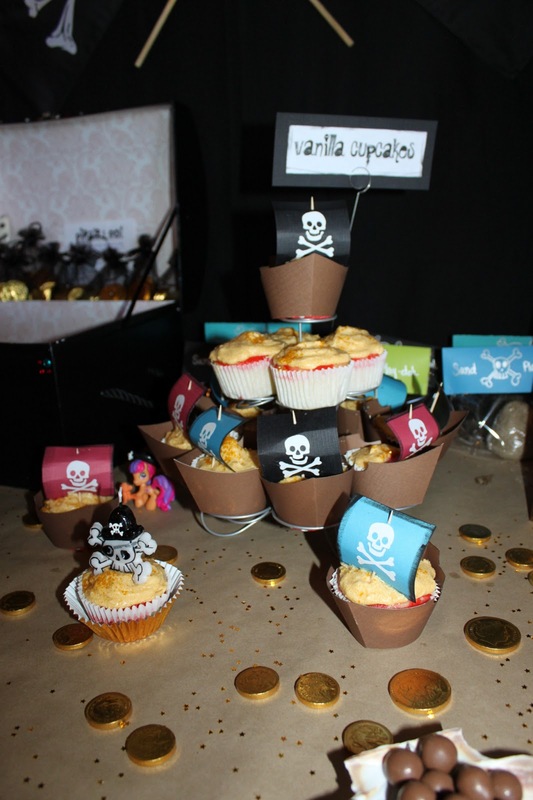 I used the silhouette machine again to make the Pirate Ship cupcake holders. 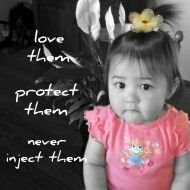 These were a labor of love and they came out so cute! Here's a better upclose picture of how they turned out! I had trouble finding Pirate games that didn't look cheap and cheesy so I used dollar store pirate wall stickers and brown paper to make the Pin the Parrot on the Pirate Game. 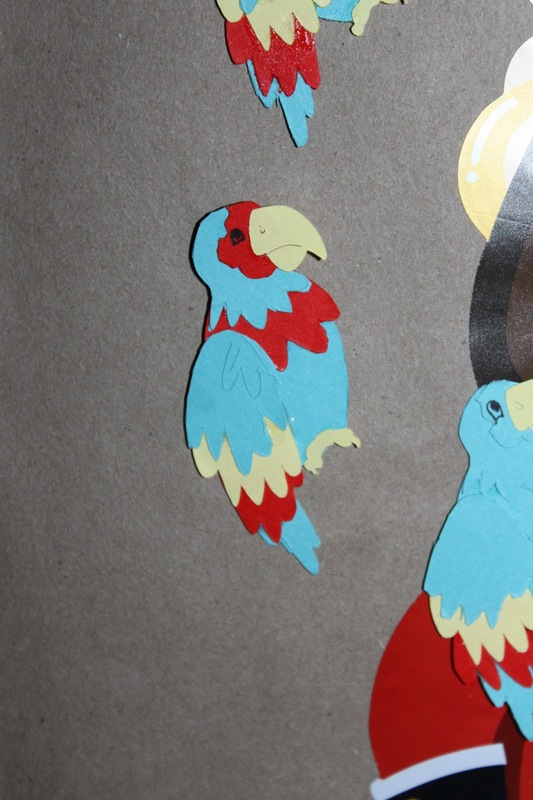 I used my silhouette machine to cut out the parrots and glued them together. I used thick card stock so they would hold up in the kids hands well, not look cheap, and be used later as scrapbooking decor when I get around to making pages about the party for the girl's scrapbook. They will work perfect for this purpose, but they were extra time consuming and would suggest buying parrot stickers if you do not plan on reusing them!! 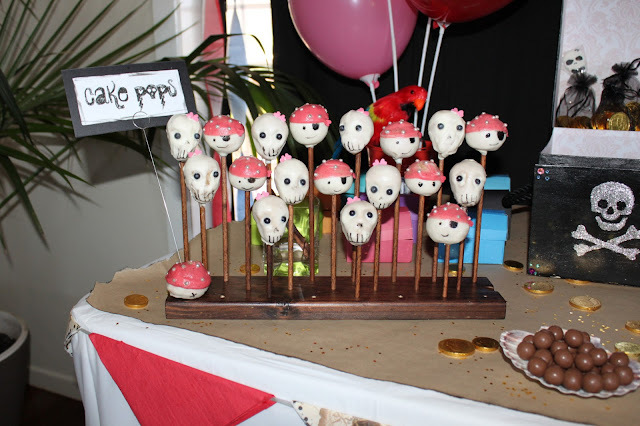 They did turn out super cute though! 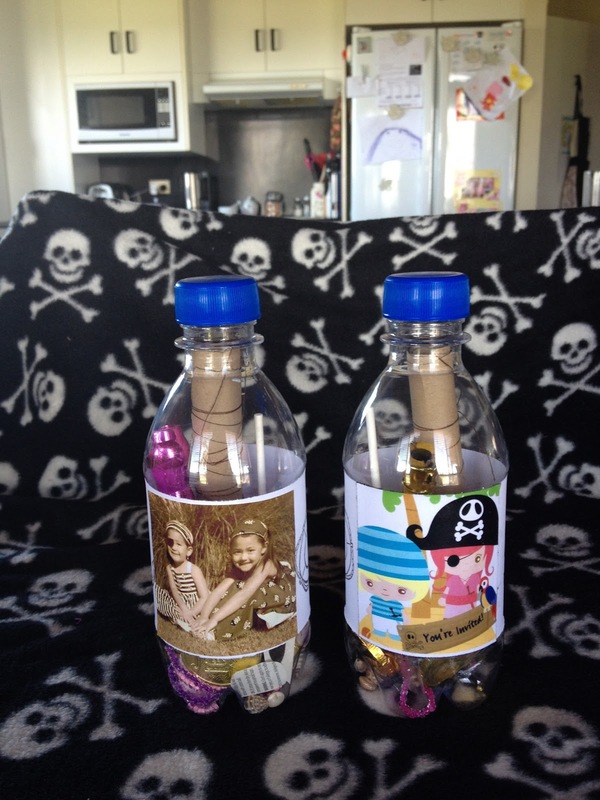 Here's were the Invitations in a bottle that we made. You can buy bottles that have the bottom screw off so you can fill them with items that are bigger than the top hole but they are expensive and I'm all about not spending a million bucks on something that I can do better so I just cut a hole in the side of the bottle and then it was hidden behind the labels I printed up. 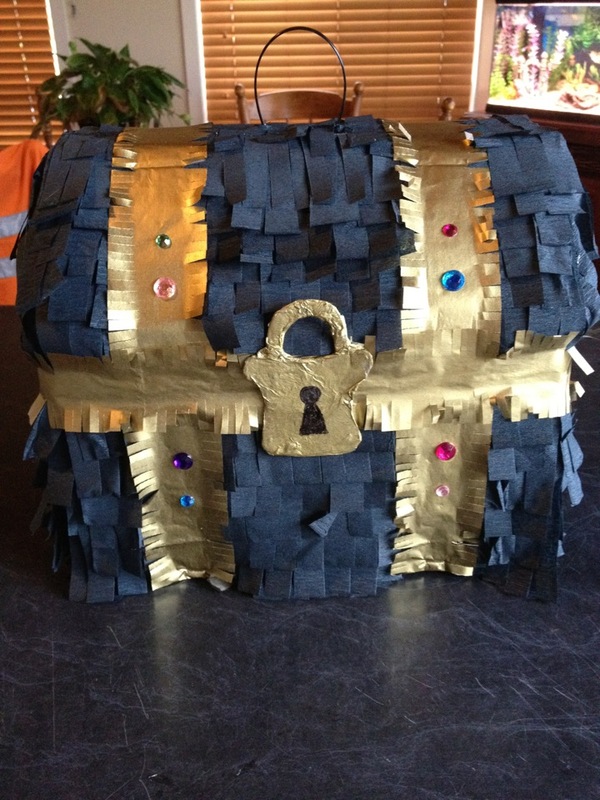 We rolled up the invitation and placed it inside along with necklaces, candies, pirate tattoos, stickers, gold coin money's and other booty. 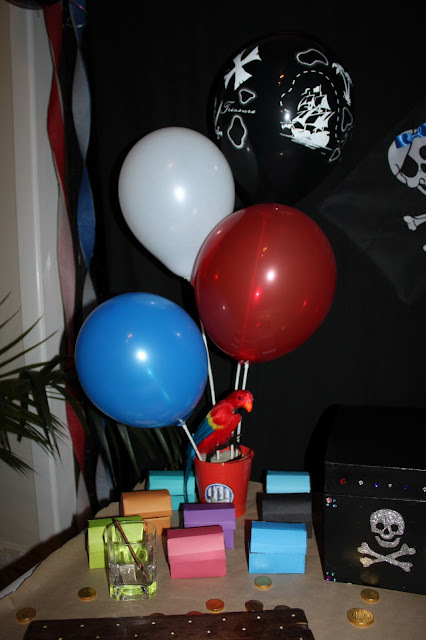 In a separate post I'll put up all the party pictures of all the fun we had! If anyone is interested I did take some step by step pictures of the pinata that I can post if need be.